Age is no barrier for some young Australians and a small group of innovators are encouraging others to believe in themselves as Queensland’s first Youth Week events unfold across the state. Queensland Youth Week 2018 is being held April 15, coinciding with the Commonwealth Games where many young people are proving their worth by competing at a young age. 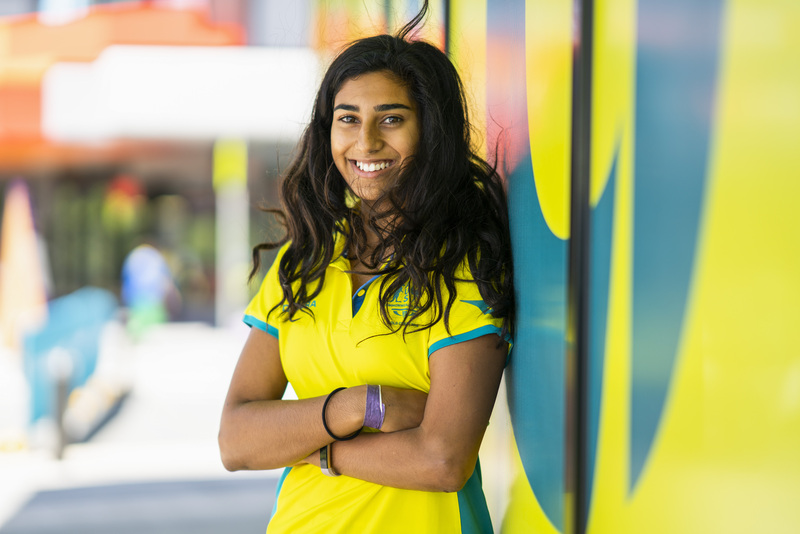 Kailyn Joseph is one of Australia’s youngest competitors in the Games at just 15 years of age. She is confident that believing in yourself is the best way to overcome age discrimination. “You know physically and mentally you can do it so you just need to back yourself and don’t sell yourself short,” Joseph said. “Being one of the youngest, I do have a disadvantage but I try to remember the good parts, the highs, and just enjoy myself. Queenslanders between the ages of 12 and 25 will participate in a variety of events during Youth Week where they will have the chance to speak up about what they are passionate about and recognised for their achievements. Queensland Minister for Child Safety, Youth and Women Di Farmer said in a media release that this is an exciting time to recognise our young people during the inaugural Queensland Youth Week. “The theme this year, ‘Jump in. Make a splash’, is all about getting our young people to voice their opinions and get out there and make a difference,” Ms Farmer said. Nicole Gibson is a prime example of a young entrepreneur making a splash by being appointed Australia’s Commissioner for Mental Health at just 21 years old. Ms Gibson said that the first step to success as a young person is loving and believing in yourself first. “You need to come to a place where you love yourself, so much so that when you speak up, you’re actually fine if someone rejects you or judges you,” she said.